So far, the 2016 NBA playoffs have managed to live up to the hype. We’ve seen multiple teams catch fire from beyond the three-point arc, we’ve seen a handful of incredibly lopsided affairs, and we’ve witnessed history, as another club joined the ranks of teams who were able to overcome 3-1 deficits. But after three rounds of physically and emotionally draining basketball, the stage was set for the much-anticipated Finals rematch between the Cleveland Cavaliers and the Golden State Warriors. To say we were excited for this matchup would be a gross understatement. This is the series that we — and probably the majority of basketball fans — were hoping for. On the surface, this showdown is a battle between the top teams in each conference, however, in reality, it’s so much more. For the Dubs, it’s a chance to secure a place on the Mount Rushmore of historically great teams; for the Cavs, it’s an opportunity to avenge last season’s heartbreaking defeat. We couldn’t have written a more perfect ending to the season if we tried. As much as we enjoy watching teams — as well as players — strive to make a mark on history, we find ourselves more drawn to the quest for redemption; a position this Cleveland squad currently finds itself in after two crushing losses. 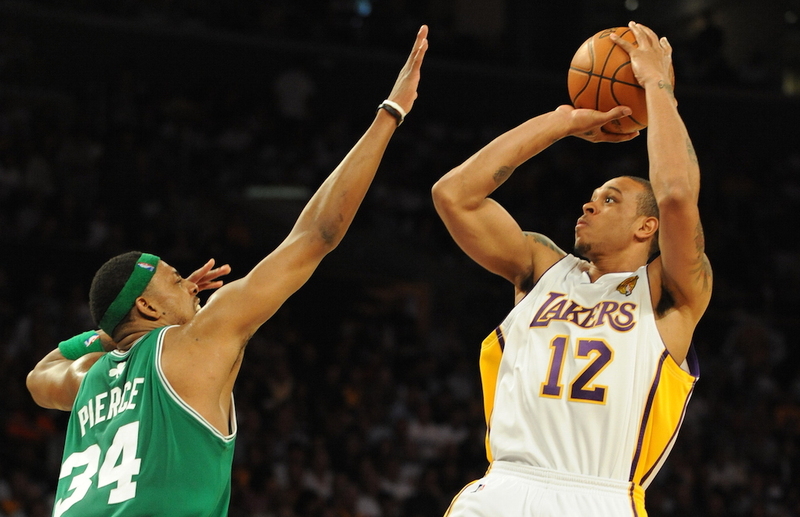 Therefore, in honor of this potentially momentous occasion, we thought we’d take look at the 2010 NBA Finals when a team (the Los Angeles Lakers) not only sought to exact vengeance from a previous defeat (to the Boston Celtics), but an individual on that club (Shannon Brown) left the sort of impression that forces us to shake our head in disbelief. After falling to the Celtics in the 2008 Finals, the Lakers got back up and regained NBA supremacy the following year, defeating the Orlando Magic in the ’09 Finals four games to one. Yet, as all competitors know, sometimes it’s the one that got away that tends to haunt you at night. Fortunately for this Los Angeles team, it wouldn’t have to wait long for a shot at payback. While the Lakers had to be excited about the opportunity to exorcise their demons, they knew the Celtics weren’t about to go down without a fight. In fact, heading into Game 6 on June 15, 2010, it was Boston who held a three games to two lead in the series, forcing the Lakers into a nerve-racking “win or go home” situation. 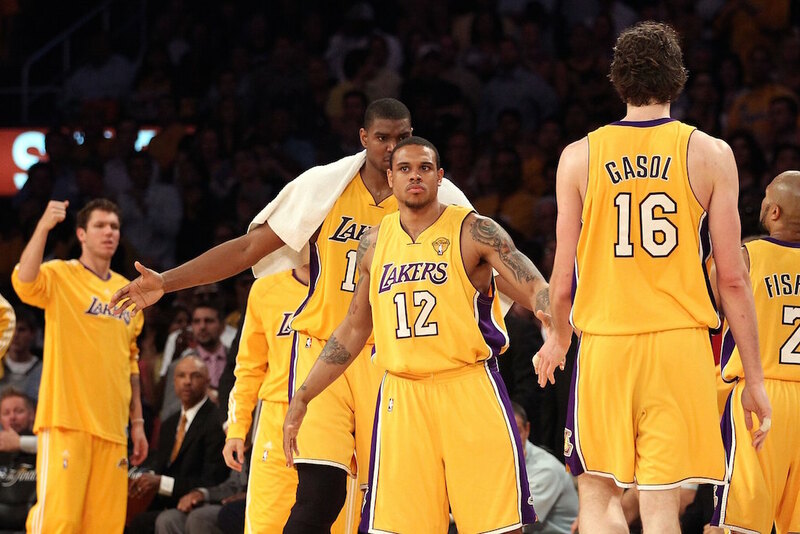 Instead of backing down, however, the purple and gold — especially Shannon Brown — rose to the occasion. For the Los Angeles Lakers, redemption would come one game later, as an 83-79 victory in Game 7 would give them their second consecutive NBA championship. Winning the title was sweet, but taking down the Celtics, a group who had defeated them two years prior, made it that much sweeter. Brown was hardly a star on this particular team. He was the epitome of a role player with enough athletic ability to electrify the crowd at any given moment. No one will ever view him as the hero or savior for these Lakers, yet, he did provide them with one of the most exciting plays in the entire series. And when a club is looking to avenge a previous loss, especially in the NBA Finals, it’ll take all the highlight-reel plays it can get. What can Brown do for you? See for yourself.